Hi everyone! I'm back on the Sunny Studio Stamps blog today to feature this fun card! 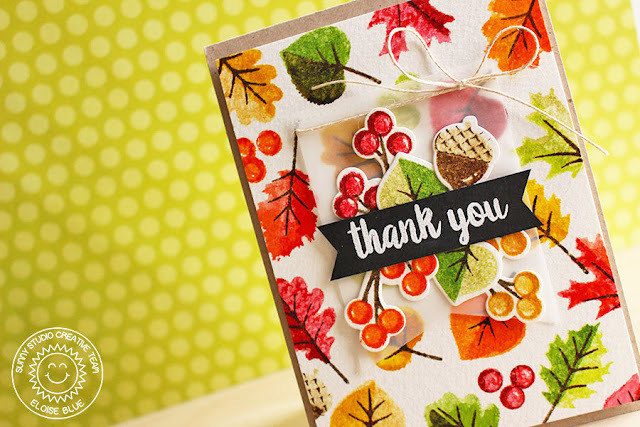 I knew exactly what I wanted to do with this Autumn Splendour stamp set as soon as I saw it! I love layering sets and this one + distress inks = amazing!